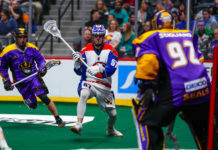 Major League Lacrosse has announced the roster for the 2015 All-Star Game held on Saturday, June 13 at BBVA Compass Stadium in Houston, Texas. 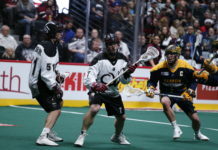 The overall roster consists of 40 players from the league’s eight teams, five of which are Outlaws – the reigning 2014 MLL champs. 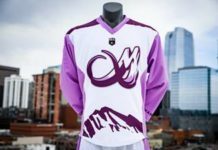 Goalkeeper Jesse Schwartzman, midfielders Anthony Kelly (who will also face-off), Jeremy Sieverts, Drew Snider and attackman Eric Law will all play in MLL’s showcase game. 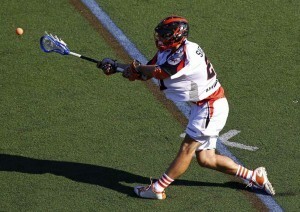 Denver Outlaws head coach B.J. O’Hara will be at the helm, coaching the All-Stars along with Rochester’s head coach, Tim Soudan. The final rosters for the two teams will be decided in a very unique manner. Earlier in the season, the MLL hosted the “Ultimate Fan Fantasy,” a contest in which two lucky winners received an opportunity to not only attend each of the day’s events but, more importantly, choose their own All-Star team in a pickup-style draft on Friday evening. Once the final two teams have been selected, the game will be televised on the CBS Sports Network at 5 p.m. MDT on Saturday. In an interesting side note, BBVA Compass Stadium is not home to a MLL team. As lacrosse continues its westward expansion, might this be a sign that a new MLL squad in the Lone Star State is soon to come?